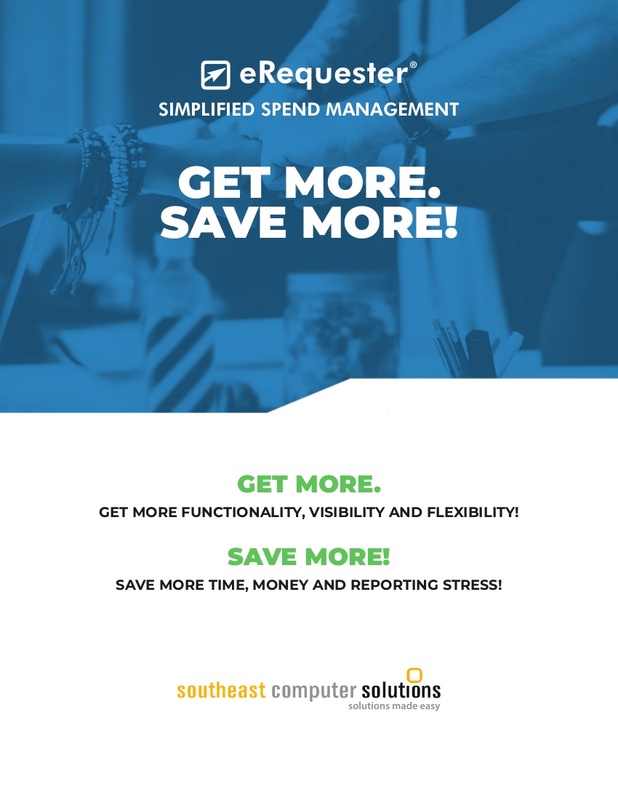 eRequester and Southeast Computer Solutions have partnered to bring you industry leading spend management software combined with superior service. 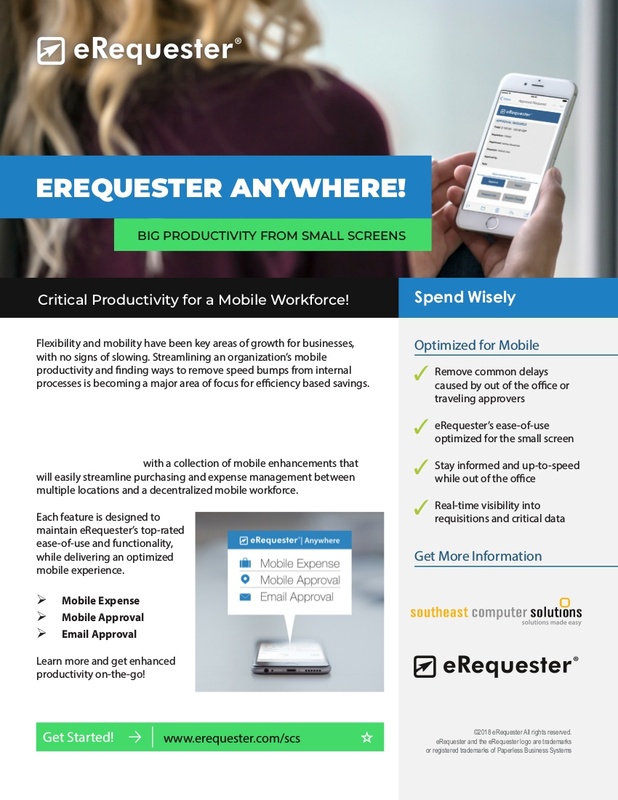 eRequester has joined forces with Southeast Computer Solutions to deliver end-to-end spend management and cost containment solutions combined a mutually shared commitment to customer satisfaction. eRequester spend management software suite simplifies the Procure-to-Pay process and extends your accounting system helping you to save time, money and gain critical visibility into spend. Get industry-leading intelligent spend automation that is flexible and highly configurable. 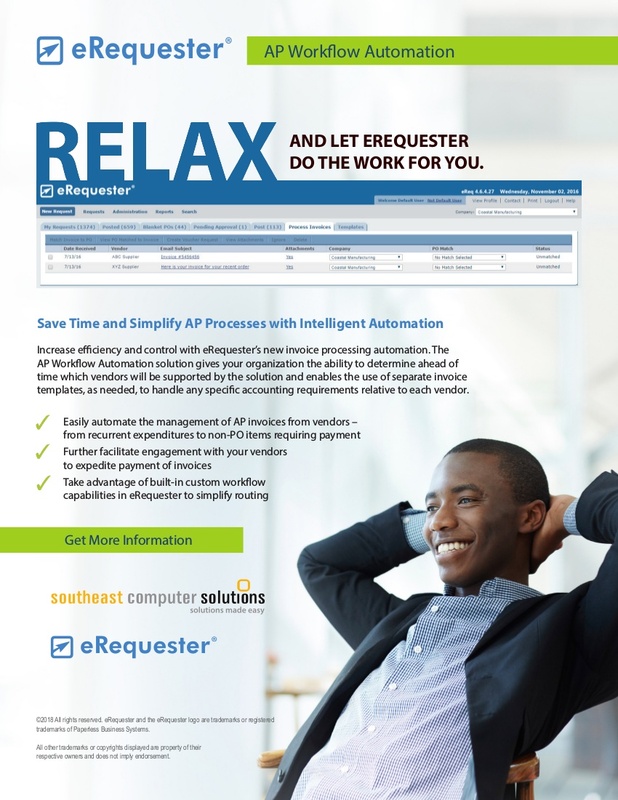 eRequester’s automation delivers valuable time savings by streamlining processes and removing approval delays in your workflow. We’ve found that both day-to-day users and administrators prefer eRequester. Why? eRequester has logic-based intelligence built into every step of the requisition process saving you time and simplifying the process. The automation assistance can take the form of prefilled accounting data, flexible approval workflows that mirror your organization with custom routing rules and unlimited user levels, proxy approvers for out of office staff, budget data, change order capabilities. The the list goes on. It boils down to a streamlined process that saves time as the requisition makes the journey from initial request to an automated PO being sent to vendors, and through AP workflow automation. Every step of the core requisition process has been optimized to save your staff time. Our seamless integration delivers a substantial cost and time savings by eliminating the need for duplicate entry while keeping pertinent data at your fingertips. 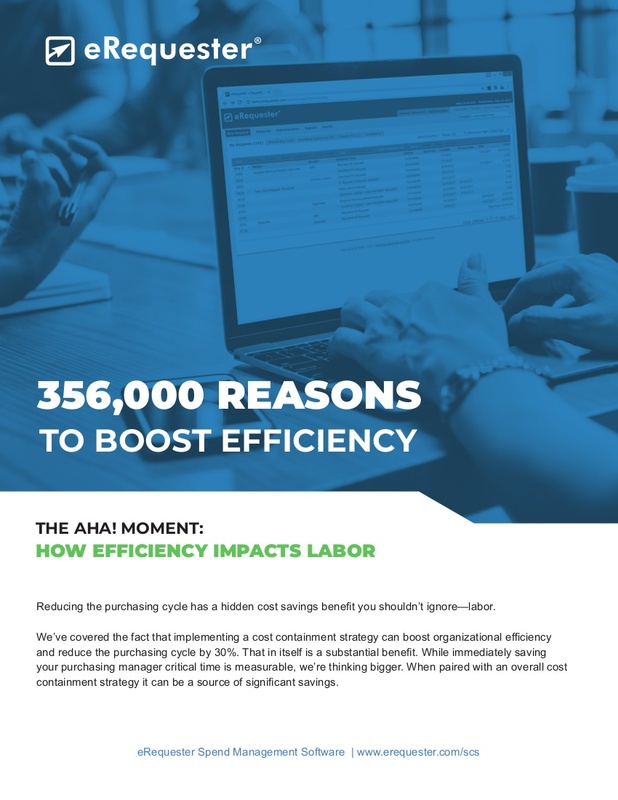 Not only is managing requisitions easier, you can compound this with the savings associated with improved process efficiency and realize a dramatic drop in the cost-per-purchase order. The average drop when using e-procurement is from $114 per purchase order to just $31.50. 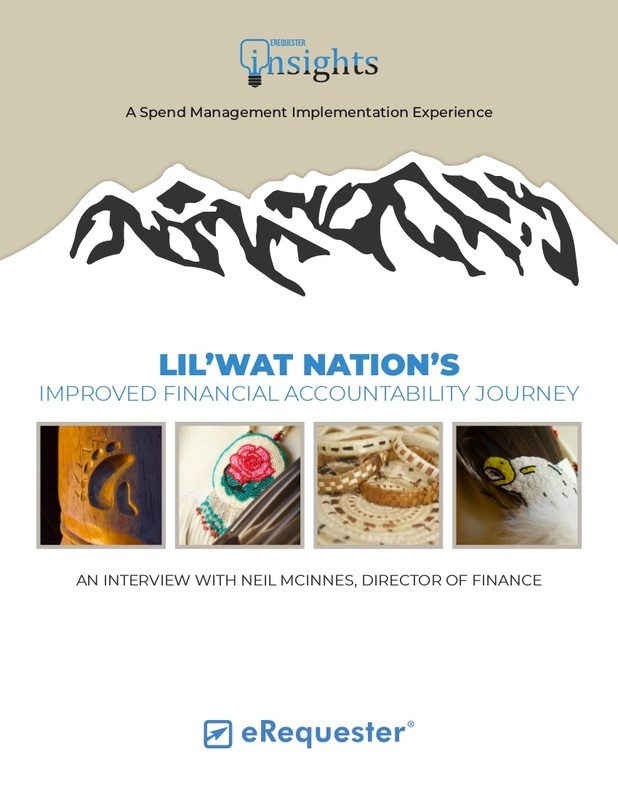 Extend the life of your accounting system. The seamless integration with eRequester helps get more life by adding key process automation and reducing the need to switch from your stable accounting system installation. Boost your organization with the tools and savings that can have a positive affect on your bottom line. 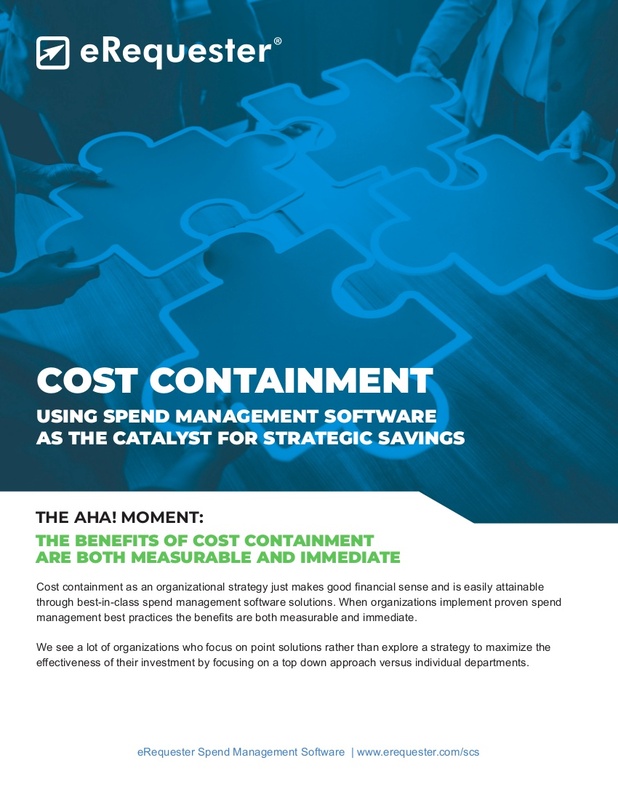 The cost containment benefits are immediate and measurable. eRequester is a Sage Gold Partner Developer, Acumatica Development Partner and has been a proud member of the spend management software community for nearly 20 years. eRequester has been in continued development since we were founded in 1999 and is the trusted spend management solution for over 850 clients with more than 100,000 users worldwide.